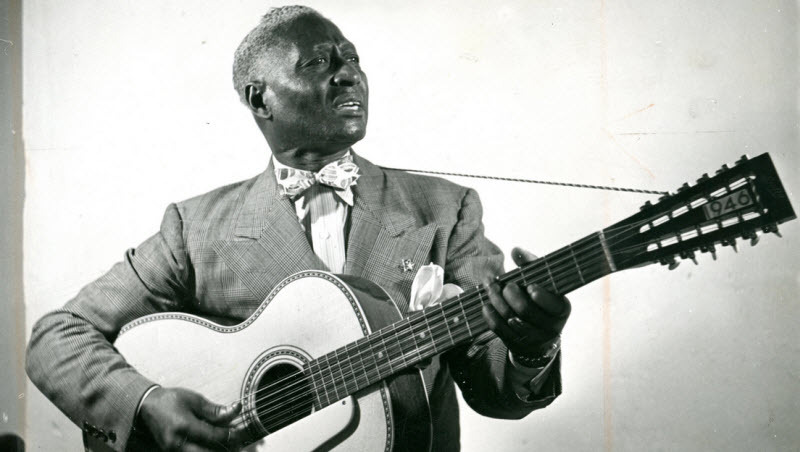 I heard Leadbelly somewhere and that’s what got me into folk music, which was exploding. ” Lead Belly was not an influence, he was the influence. If it wasn’t for him, I may never have been here. I don’t think he’s really dead. A lot of people’s bodies die but I don’t think their spirits die with them. Huddie William Ledbetter (January 20, 1888 – December 6, 1949) was an iconic American folk and blues musician, and multi-instrumentalist, notable for his strong vocals, his virtuosity on the twelve-string guitar, and the songbook of folk standards he introduced. He is best known as Lead Belly. 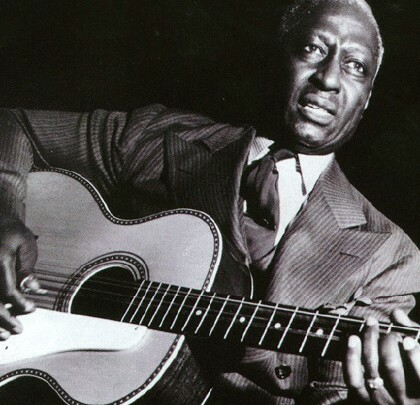 Though many releases list him as “Leadbelly“, he spelled it “Lead Belly”. This is also the usage on his tombstone, as well as of the Lead Belly Foundation. 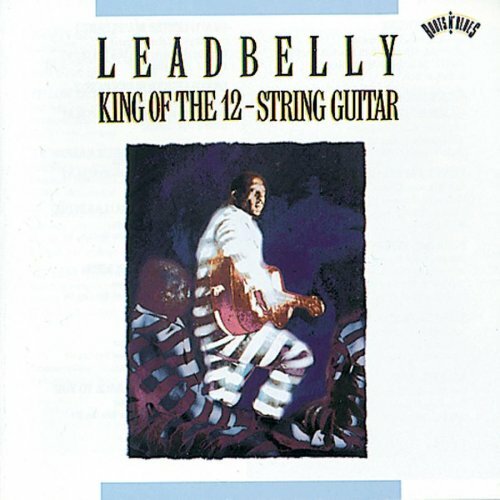 In 1994 the Lead Belly Foundation contacted an authority on the history of popular music, Colin Larkin, editor of the Encyclopedia of Popular Music, to ask if the name “Leadbelly” could be altered to “Lead Belly” in the hope that other authors would follow suit and use the artist’s correct appellation. Although Lead Belly most commonly played the twelve-string, he could also play the piano, mandolin, harmonica, violin, and accordion. In some of his recordings, such as in one of his versions of the folk ballad “John Hardy”, he performs on the accordion instead of the guitar. In other recordings he just sings while clapping his hands or stomping his foot. The topics of Lead Belly’s music covered a wide range of subjects, including gospel songs; blues songs about women, liquor, prison life, and racism; and folk songs about cowboys, prison, work, sailors, cattle herding, and dancing. He also wrote songs concerning the newsmakers of the day, such as Franklin D. Roosevelt, Adolf Hitler, Jean Harlow, the Scottsboro Boys, and Howard Hughes. In 2008, Lead Belly was inducted into the Louisiana Music Hall of Fame.